Rebecca Beatrice Brooks November 17, 2017 November 17, 2018 6 Comments on Who Fought in the Revolutionary War? Many countries besides Great Britain and the United States took part in the Revolutionary War during the American Revolution. Some served as belligerents (a nation or person lawfully engaged in war) while others were allies or mercenaries. Each side had its own specific reason for joining the war. For some, such as the French and the Spanish, it was revenge for the Seven Years’ War, which the British had won, while for others, like the Native-Americans or the Kingdom of Mysore, it was to overthrow imperialist rulers in their own country. “The Belligerent Plenipo’s”, cartoon by Thomas Colley, published in London, circa 1782. 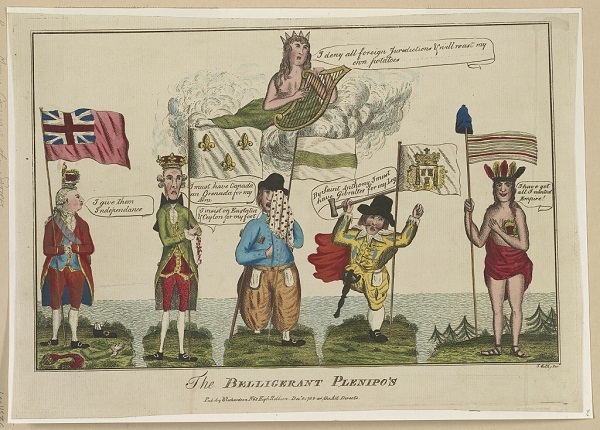 Cartoon depicts America, on the right, represented by a native, celebrating her new acquisition, half of the English king’s crown, while her allies, the King of France, a Dutchman, and a Spaniard complain that they have not received compensation for their support in Revolutionary War, represented by injuries resulting in missing body parts which lay at the feet of King George III on the left. Ireland, represented by an angelic figure floating in the clouds, demands its own constitutional freedom. Each side joined the war effort at different times too. Some hesitated and only joined after a number of years into the war, while others were eager to, or even obliged to, get involved early. In 1763, Great Britain issued a series of new taxes and laws in the colonies to help generate badly needed revenue. Britain was deeply in debt due to the cost of the French and Indian War (aka the Seven Years’ War) and needed to find ways to pay it off. 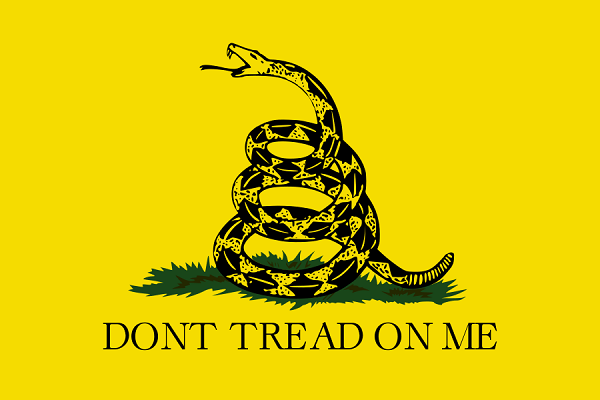 These new taxes didn’t go over well and resulted in protests and riots among the colonists. Great Britain attempted to stop the revolution by trying to regain control and restore order in the colonies through an increased military presence there but struggled to contain the growing rebellion. On October 27, 1775, the British government expanded on the proclamation with King George’s speech to Parliament in which he indicated that he intended to deal with the rebellion with armed force and asked for “friendly offers of foreign assistance” to suppress the rebellion. The proclamation furthered damaged relations between the colonists and the British government and made it clear that the king was not interested in finding a way to resolve the dispute peacefully, which prompted the colonists to declare independence from Great Britain. After the British government began enacting various new taxes in the 13 British colonies in the aftermath of the French and Indian War, it was met with a lot of resistance by the colonists because they resented the government for meddling in colonial affairs. The colonists began boycotting, protesting and even rioting over these news laws. The government responded by increasing its military presence in the colonies, which only escalated the conflict. The conflict came to a head in April of 1775 when the colonists and the British troops engaged in the first battles of the Revolutionary War in Lexington and Concord. In response, King George III issued the Proclamation of Rebellion in August. After the Proclamation of Rebellion was issued and King George vowed to fight the rebellion with force, the colonists decided to cut all political ties with Great Britain. The Continental Congress officially declared independence from Great Britain on July 4, 1776. Shortly after, they sent a group of commissioners, led by Benjamin Franklin, overseas to negotiate an alliance with France. The Declaration was drafted and passed in order to allow for recognition of the United States by friendly foreign governments, such as France, who refused to consider the possibility of an alliance without it. France joined the Revolutionary War in 1778. 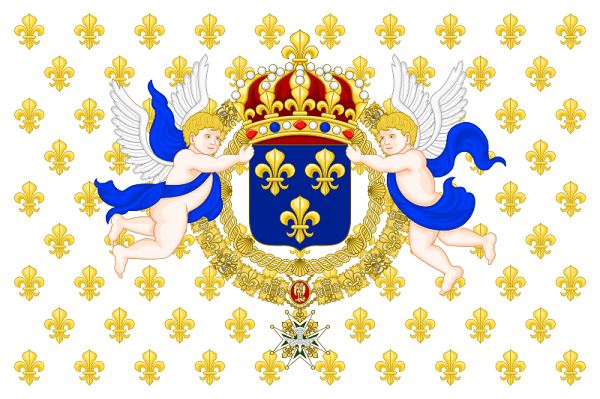 The French government decided to get involved in the war because it had lost the Seven Years’ War to the British in 1763 and wanted to regain the land it lost in North America during that war. France had begun considering an alliance with the colonists after they declared their independence in July of 1776 but started to rethink the decision after receiving news of General George Washington’s defeats in New York in August of 1776. France finally decided in favor of an alliance after receiving news of the British surrender at the Battle of Saratoga in December of 1777. In 1778, the French joined the Revolutionary War as an ally to the American colonists and signed a Treaty of Alliance and a Treaty of Amity and Commerce with Benjamin Franklin on February 6, 1778, officially pledging their assistance in the war effort. The treaty also contained a clause forbidding either country from making a separate peace deal with the British and also contained a secret clause that allowed Spain, or other European countries, to enter into the alliance. The resulting global battles between France and Great Britain later came to be known as the Anglo-French War, which took place between 1778-1783, and was directly linked to the American Revolutionary War, although it took place outside of North America. Spain joined the Revolutionary War in 1779. Spain got involved in the war because it had also lost the Seven Years’ War to Great Britain and hoped to regain the land it lost in North America. Spain joined the Revolutionary War only as an ally to France, not the colonists. 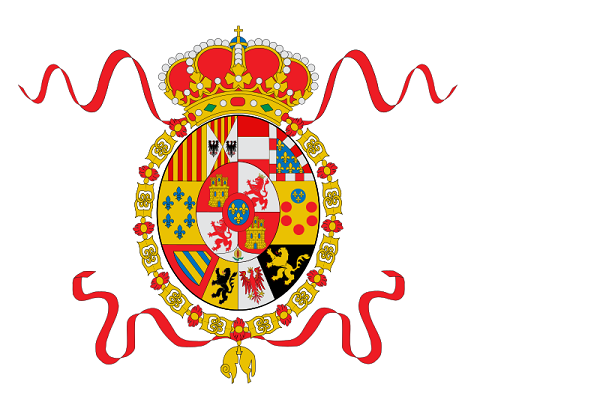 The King of Spain, King Charles III, wouldn’t sign a treaty of alliance with the United States, because he viewed encouraging political revolts as unwise, but did sign the Treaty of Aranjuez with France in April of 1779. The Treaty of Aranjuez stated that France would help Spain capture Gibraltar, the Floridas and the island of Menorca and, in return, Spain would join France in their war against the British. As a result, on June 21, 1779, Spain declared war on Great Britain, creating a de facto alliance with France and the United States. Great Britain declared war on the Dutch Republic in 1780 to prevent it from joining an alliance, known as the League of Armed Neutrality, with other European countries. Catherine the Great in Russia formed the League of Armed Neutrality, which was an alliance between European countries that remained neutral in the American Revolutionary War, in 1780. The alliance was intended to protect neutral shipping against the British navy’s policy of searching neutral ships for French contraband. Britain feared that the Dutch Republic would join the league, and that any British attempts to confiscate Dutch ships, which traded in the British North American colonies, would bring Britain into war with all members of the league, which at the time included Denmark, Sweden and Russia. The Dutch Republic had planned to join the league in January of 1781, but Great Britain found out about it ahead of time and declared war on the Dutch Republic on December 20, 1780, thus making them ineligible to join. The Dutch then signed a Treaty of of Amity and Commerce with the United States on October 8, 1782. The Kingdom of Mysore joined the Revolutionary War in 1780. Mysore was a military state in India, located on the southwest coast of the Indian subcontinent, that was ruled by Muslim rulers Nawab Hyder Ali and his son, Tipu Sultan, who opposed British expansion into India. Hyder Ali had an alliance with the French in India due to their shared common enemy: the British. When the French declared war on the British in 1778, the British tried to overthrow the French in India. As a result, in 1780, the Kingdom of Mysore declared war on Britain, which later came to be known as the Second Anglo-Mysore war. Hanover, was a territory in the Holy Roman Empire, in what is now modern day Germany, and was ruled by King George III. Hanover provided troops to Great Britain in the Revolutionary War, offering five battalions, which were sent to Gibraltar to replace English soldiers that had been sent to North America. Hesse-Kassel was a state in the Holy Roman Empire, in what is now modern day Germany. The ruler of Hesse-Kassel, Frederick II, leased 22,000 Hessian soldiers to his nephew, British monarch King George III, for use in the Revolutionary War, after George wrote to Frederick and offered a subsidy for his troops as well as a treaty of alliance and protection. The treaty was signed on January 15, 1776. Hesse-Kassel offered a total of 12,500 troops, which included 15 regiments, each with five companies, four Grenadier Battalions, two Yager companies and some artillery units. King George III promised only to employ these hessian soldiers in North America, not in the West Indies, which was considered undignified. The county of Hanau was a territory in the Holy Roman Empire, in what is now modern day Germany. Hesse-Hanau signed a treaty with Great Britain on February 5, 1776 and offered 900 troops, which included one infantry regiment and some artillery. Waldeck was a state in the Holy Roman Empire, in what is now modern day Germany. Waldeck signed a treaty with Great Britain on April 25, 1775 and offered 700 troops, equaling one regiment. Brunswick was a duchy (a territory ruled by a duke or duchess) in the Holy Roman Empire, in what is now modern day Germany. King George wrote to the Duke of Brunswick, Charles William Ferdinand, whose wife was Princess Augusta of Great Britain, and offered a subsidy for his troops as well as a treaty of alliance and protection. Brunswick was the first German-speaking state to sign a treaty supporting Great Britain, which was signed on January 9, 1776. Brunswick offered 4,000 soldiers, which included four infantry regiments, one grenadier battalion, one dragoon regiment and one light infantry battalion and required that all troops take an oath of service to King George III. King George III promised only to employ Brunswick’s soldiers in North America, not in the West Indies, which was considered undignified. Ansbach-Bayreuth was a principality of the Holy Roman Empire, in what is now modern day Bavaria, that supplied 2,353 troops to British during the Revolutionary War. Anhalt-Zerbst was a principality of the Holy Roman Empire, in what is now modern day Germany. In 1777, the Prince of Anhalth-Zerbst, Frederick Augustus, signed a treaty to provide Great Britain with 1,160 men. The Cherokee, a southern tribe who lived in the Carolinas and Georgia, sided with the British in the Revolutionary War hoping they would stop Americans from settling on their land as they had done with the Proclamation of 1763. The Creek, a south-eastern tribe who lived in Georgia, Alabama, Florida, and North Carolina, never officially allied themselves with any one side in the war and instead participated in limited engagements. The Choctaw, a southern tribe who lived in the lower Mississippi region, sided with the British in the Revolutionary War hoping they would stop Americans from settling on their land. The Chickasaw, a southern tribe who lived in Mississippi, Alabama, Tennessee, Kentucky and Missouri, sided with the British during the Revolutionary War hoping they would stop Americans from settling on their land. The Catawaba, a tribe who lived along the border of South Carolina and North Carolina, sided with the Americans in the Revolutionary War in 1775 after the British failed to enforce provisions of the 1763 Treaty of Augusta that was designed to protect their land. The Abenaki, a tribe who lived in northern New England and the southern part of the Canadian Maritimes, were heavily divided on the issue and fought in small engagements for both the Americans and the British in the Revolutionary War. The Penobscot, a tribe who lived in Maine, never officially sided with the Americans but allowed some of their young warriors to fight for the Americans upon the request of George Washington in 1776. The Maliseet. a tribe who lived in Maine, sided with the Americans early in the Revolutionary War, hoping that overthrowing the British would restore French rule in North America, and signed a treaty with the Americans, the Treaty of Watertown, in 1776. The Passamaquoddy, a tribe who lived in Maine and Canada, sided with the Americans early in the Revolutionary War and supplied George Washington with warriors upon his request in 1776. The Micmac, a tribe who lived in the Canadian maritimes, sided with the Americans early in the Revolutionary War, hoping that overthrowing the British would restore French rule in North America, and signed a treaty with the Americans, the Treaty of Watertown, in 1776. The Stockbridge-Mohican, a tribe who lived in Western Massachusetts, sided with the Americans in the Revolutionary War in 1774, even though they had been long-standing allies of the British, possibly due to pressure from local patriotic colonists or possibly in hopes of asserting their independence and reclaiming their lost lands. The Shawnee, a tribe who lived in the Ohio River Valley. sided with the British during the Revolutionary War after being attacked by American militia in 1777. The Delaware (also known as the Lenni Lenape), a tribe in the Ohio Valley, sided with Americans during the Revolutionary War, hoping to assert their independence, and signed a treaty with the Americans, the Treaty of Fort Pitt, in 1778. The Miami, a tribe in the Ohio Valley, sided with the British during the Revolutionary War hoping they would stop Americans from settling on their land. The Mohawk, a tribe in the Iroquois Confederacy who lived in New York, sided with the British during the Revolutionary War due to the confederacy’s long-standing alliance with the British. The Cayuga, a tribe in the Iroquois Confederacy who lived in New York, sided with the British during the Revolutionary War due to the confederacy’s long-standing alliance with the British. The Onondaga, a tribe in the Iroquois Confederacy who lived in western New York, sided with the British during the Revolutionary War due to the confederacy’s long-standing alliance with the British. The Seneca, a tribe in the Iroquois Confederacy who lived in New York, sided with the British during the Revolutionary War due to the confederacy’s long-standing alliance with the British. The Oneida, a tribe in the Iroquois Confederacy who lived in western New York, sided with the Americans in the Revolutionary War possibly due to strong ties with the colonists and a weakening of the Iroquois Confederacy. The Tuscarora, a tribe in the Iroquois Confederacy who lived in New York, sided with the Americans in the Revolutionary War possibly due to strong ties with the Oneida tribe and the colonists and a weakening of the Iroquois Confederacy. The Wyandot (Huron), a tribe in the Great Lakes region, sided with the British during the Revolutionary War hoping they would stop Americans from settling on their land. The Potawami, a tribe in the Great Lakes region, sided with the Americans in the Revolutionary War after Virginia militia officer, George Rogers Clark met with with Siggenauk, a Potawami chief from Milwaukee, in 1778 and convinced him to join the Americans. Harding, Nick. Hanover and the British Empire, 1700-1837. The Boydell Press, 2007. Edler, Friedrich. The Dutch Republic and the American Revolution. John Hopkins Press, 1911. This was helpful very. Thanks so much for putting this in here. I am so thankful that this popped up on google. I am so happy. Very useful information. But I think you have the wrong British flag/ensign, which was not adopted until 1801, when the cross of St. Patrick of Ireland (a diagonal red cross on a white field) was incorporated. The British flag flown throughout its empire at the time of the Revolution was known as the Queen Anne Union and is today the official flag of the United Empire Loyalists of Canada Association. See uelac.org/Loyalist-Monuments/Loyalist-Flag.php Your article was just circulated by the UELAC FB page today, which is probably why no one had pointed this out earlier. Enjoyed this history lesson. My ancestors lived in Massachusetts and central area of what is now Maine. I am a member of SAR off Benjamin Chapman who fought the battle of Castine or Penobscot in northern Maine. 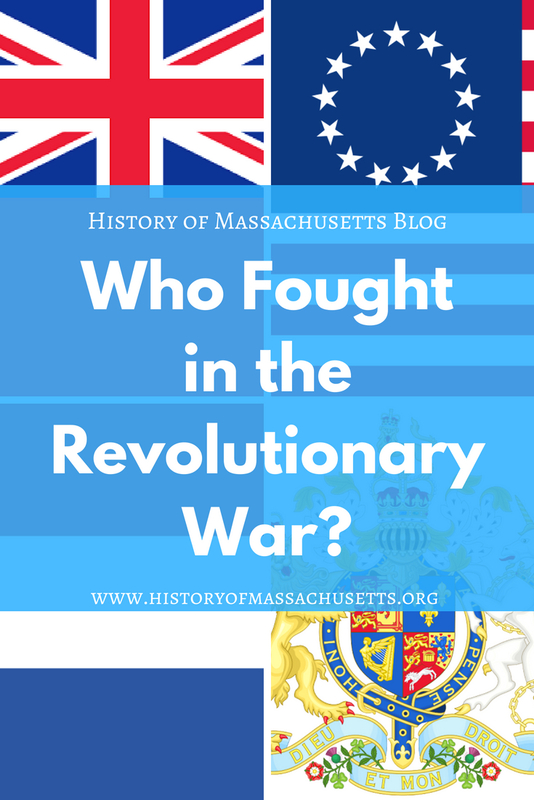 I am tutoring a 5th grader and would like for him to research the main patriots who fought in the Revolutionary War.